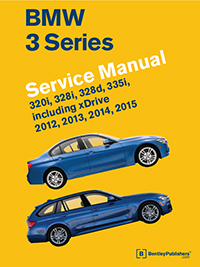 The BMW 3 Series (F30, F31, F34) Service Manual: 2012-2015 contains in-depth maintenance, service and repair information for the BMW 3 Series from 2012 to 2015. The aim throughout has been simplicity and clarity, with practical explanations, step-by-step procedures and accurate specifications. Whether you're a professional or a do-it-yourself BMW owner, this manual helps you understand, care for and repair your 3 Series. The do-it-yourself BMW owner will find this manual indispensable as a source of detailed maintenance and repair information. Even if you have no intention of working on your vehicle, you will find that reading and owning this manual makes it possible to discuss repairs more intelligently with a professional technician. Maintenance procedures from changing the cabin microfilter to replacing and registering a new battery. This manual tells you what to do and how and when to do it. Front-to-rear fluid and lubricant service, including xDrive transfer case fluid and ATF. Cylinder head cover gasket and crankshaft seal replacement. Cooling system, thermostat and radiator service. 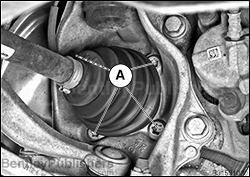 Gasoline fuel and ignition system diagrams and explanations for turbo-valvetronic-direct injection (TVDI) engines. 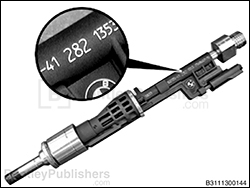 Diesel fuel injection system diagrams and explanations for turbo-direct injection (TDI) engine management systems. Service and repair information on BMW EfficientDynamics technology, such as Valvetronic, xDrive, TwinPower turbo, and DSC (dynamic stability control). Twin scroll (gasoline) and variable vane (diesel) turbocharger removal and installation. Step-by-step variable camshaft timing (VANOS) service. Suspension repairs, including wheel bearing replacement. Brakes, steering and ABS troubleshooting and repair. Body and hood repairs and adjustments. Comprehensive wiring schematics, including fuses and grounds. BMW OBD II diagnostic trouble codes, SAE-defined OBD II P-codes, as well as basic scan tool operation. BMW factory tolerances, wear limits, adjustments and tightening torques. For additional technical content for the F30, F31, F34 platform BMW 3 Series models, visit our online technical library by clicking below. Bentley technical editors angle-torquing front strut brace. 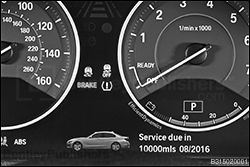 Learn how to reset condition-based service (CBS) intervals using iDrive. Direct fuel injection service, including replacing and resetting injector quantity compensation. Drive axle, driveshaft and wheel bearing service.